I invariably wear earflap hats in winter because I hate cold ears. Actually, 'hate' is not a big enough word, I utterly *despise* having cold ears, it hurts! Let's all admit it, earflap hats don't look good. 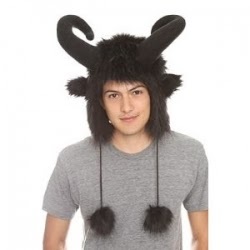 I don't know what it is, but once you add earflaps to a hat, you suddenly look goofy. All right, all right, I didn't say "add horns". Is it too much to ask to be warm and yet look Very Serious? This is the hat I've been using for forever and ever. 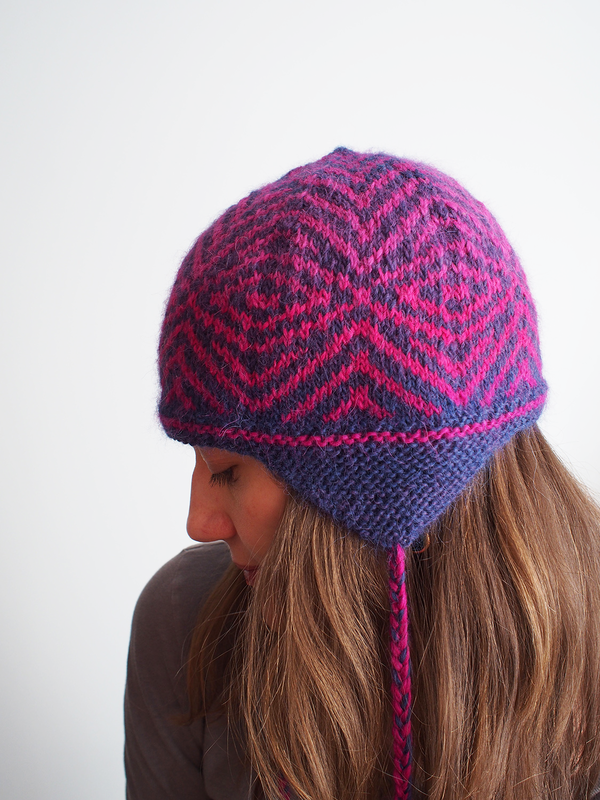 It's a free Knitty pattern, Swell, by Kimmie Kemper. I used a bunch of scrap yarn at a carpal-tunnel inducing gauge. While not good for my wrists, it's oh-so-good for my ears. It's also oh-so-HUGE for my ears, and my husband haaaaaaates this hat! To please him when we're out, I've taken to wearing my good no-earflap hats with "Earbags" underneath. I know you are laughing, but these things are awesome! Especially if you run. Um. Okay, I don't run, but I'm trying to find ways to convince you that these are really pretty cool, they snap onto your ear and are very warm. And omg, I just discovered they have cabled versions now, too! But I lose stuff, and having a hat plus 2 loose Earbags is a dangerous proposition. 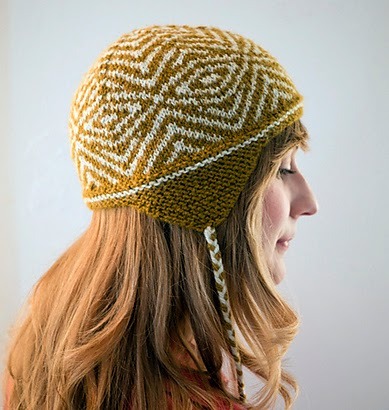 So, I'm always on the lookout for an alternative earflap hat, and I came across this pretty little pattern by Alexis Winslow, the Arbuckle Hat. 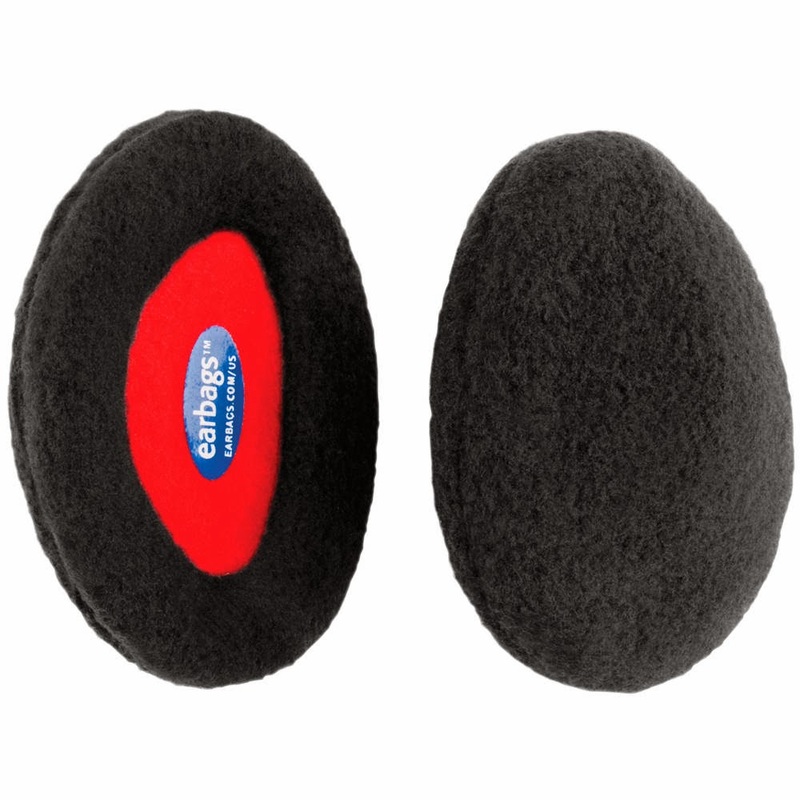 Look at those modernized earflaps! Aerodynamic, slim and ladylike... all words I had never considered as adjectives for earflaps. 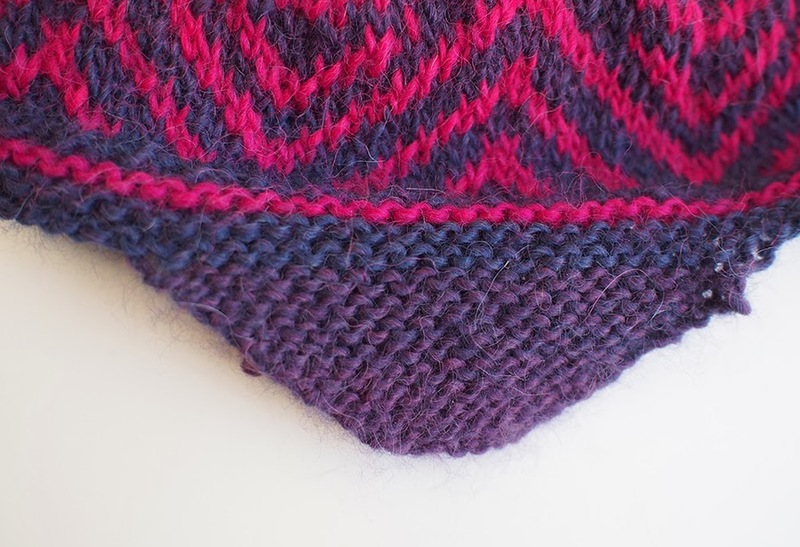 And of course, the added bonus was the lovely colorwork. I do like pointy hats and think they often look better, but they don't fit under my hood. So this pattern really was perfect. Even better, the pattern is written for a Blue Sky Alpacas baby alpaca yarn, and guess what I had languishing in my Rowan sample skein bin? These baby Alpaca Colour beauties! If you remember, I recently made a sweater with bright sunshine-y yellow Alpaca Colour. You can see that the color shifts in wide bands. I was eager to see if we could see the color changes in the hat, and you most certainly can! 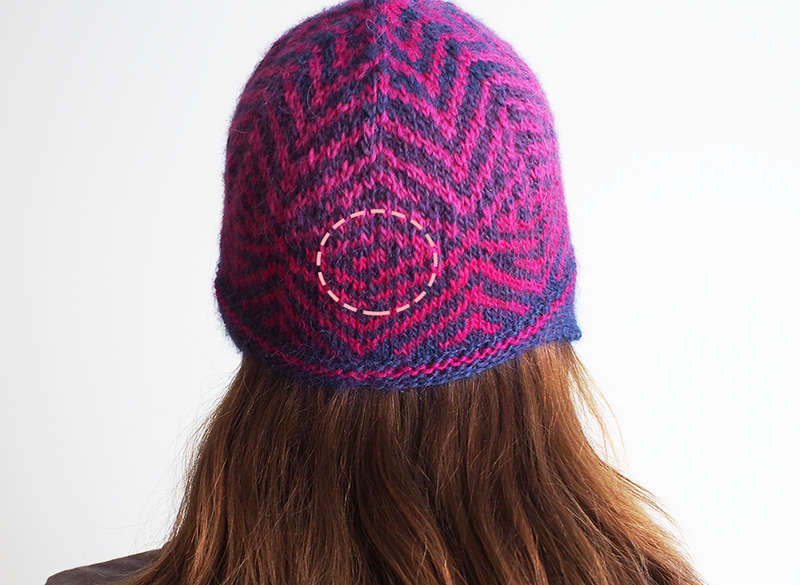 You see, to make the hat, you cast-on and knit 2 earflaps separately, then join them in the round. 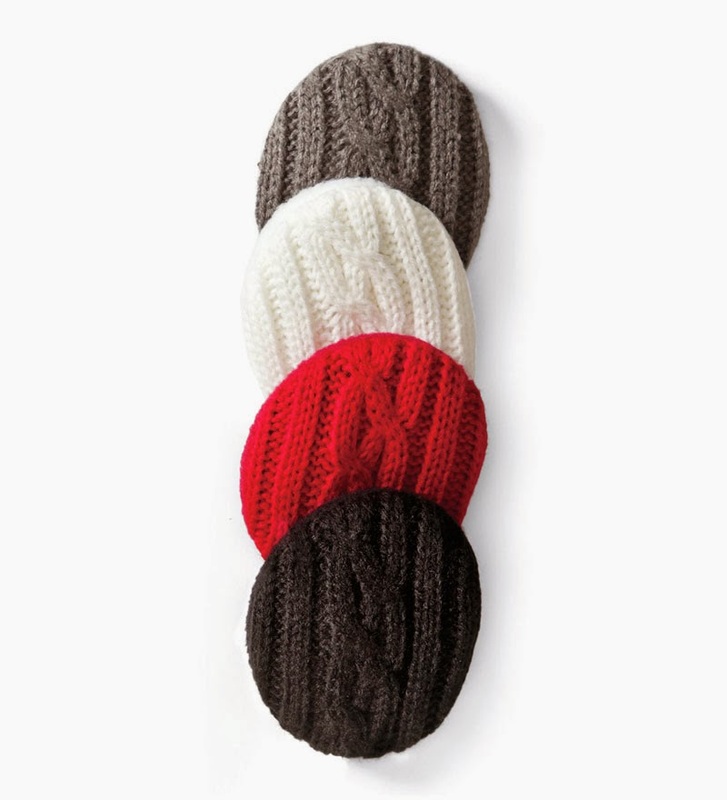 The ball must have started during a color transition because the first earflap was a totally different color! I couldn't handle it. Luckily when I was done with the hat I ended up in the same place as where I started, the dark blue. 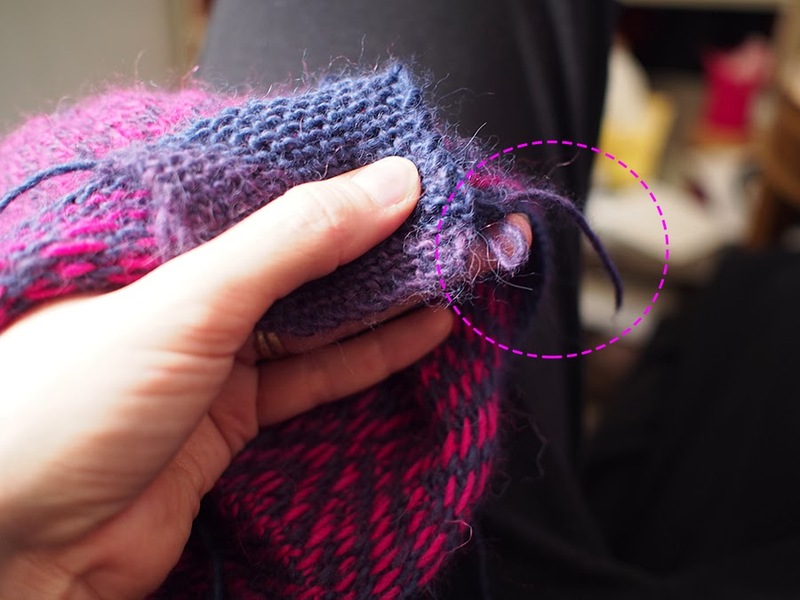 I threaded my needle through the row where the earflaps were connected (easy to see because of the color change). 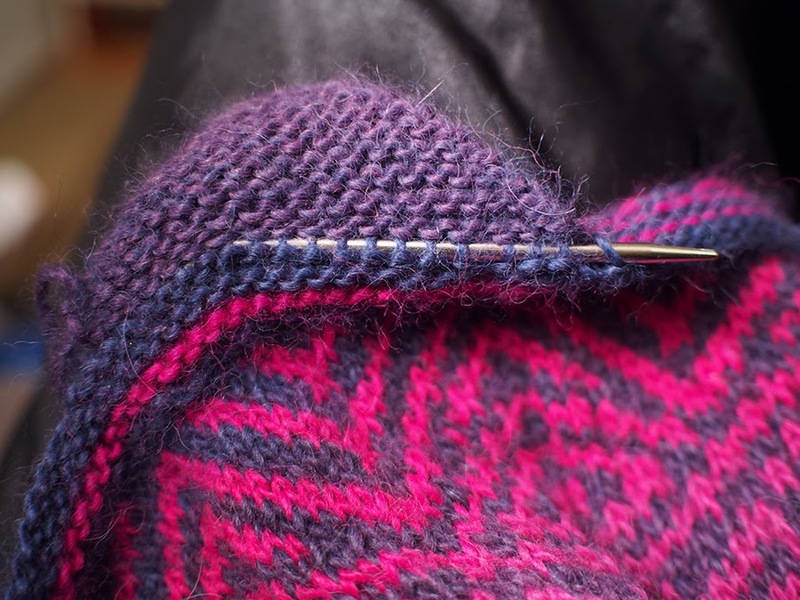 NOTE: Remember that whenever you knit something in the opposite direction you will always be off by half a stitch. Just make sure you have the right number of loops, and also make sure that the location looks good in the front where it matters. 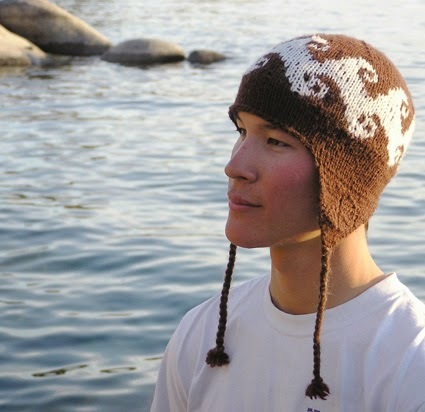 I then knit the earflap downward, replacing M1s with SSKs and K2togs. I could have cut off the original, but I wanted to make sure that the whole thing was a good idea. I was tempted to keep a double earflap for added warmth actually! But it stuck out to much from the main hat. To remove the old earflap, I just took the end that was hanging already (you cut the yarn after the earflap) and picked it out. It's a much better match!! 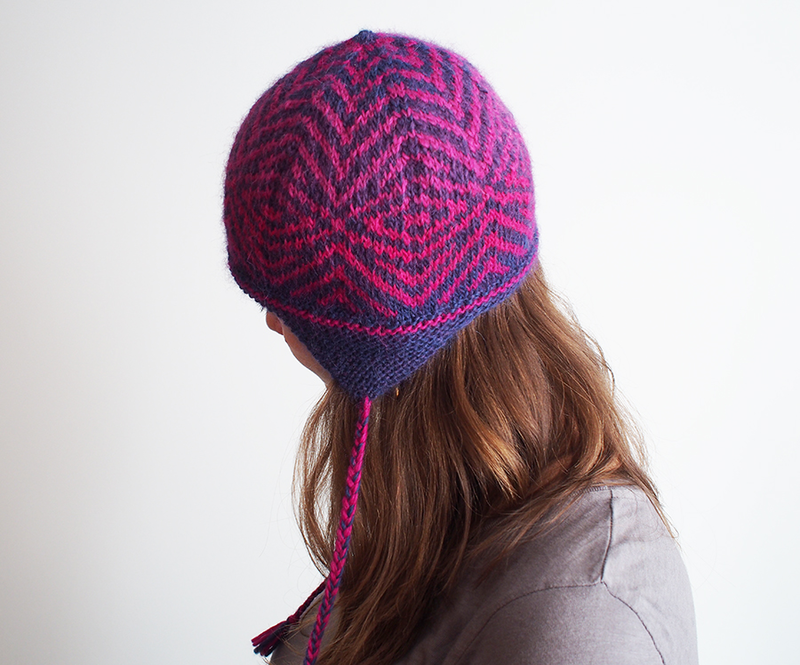 You can tell that the hat is kind of wavy because I didn't block it. 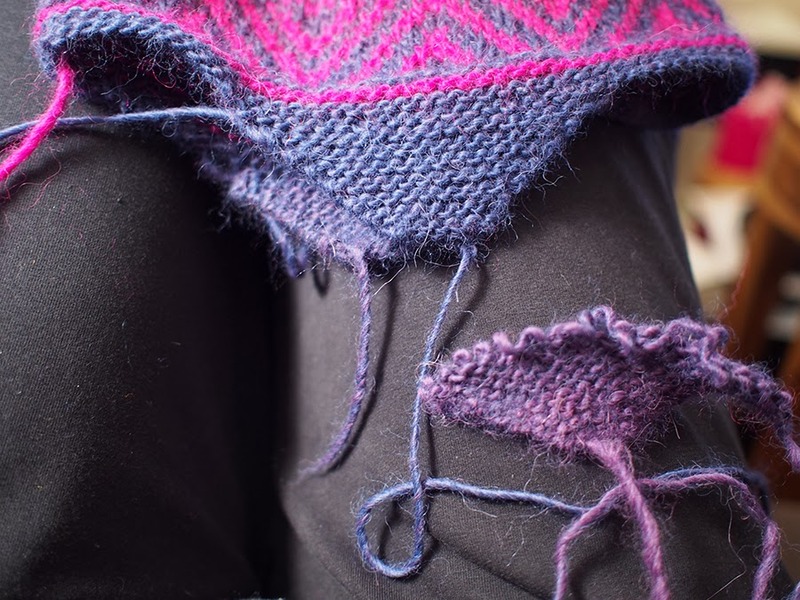 I didn't want to stretch it out (I have a small head and this is stretchable alpaca), and I didn't want it to have a fold where I would pin it down. Should I get it wet and block it on my head?! NO PLEASE, do not try this at home, kids. Last time I blocked Alpaca Colour it smelled like Noah's Ark... we'll just wait and see if it relaxes with wear. 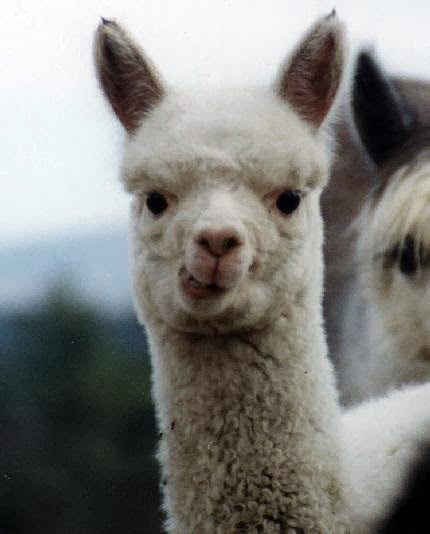 This alpaca from the Kilblaan farm in New Hampshire agrees! 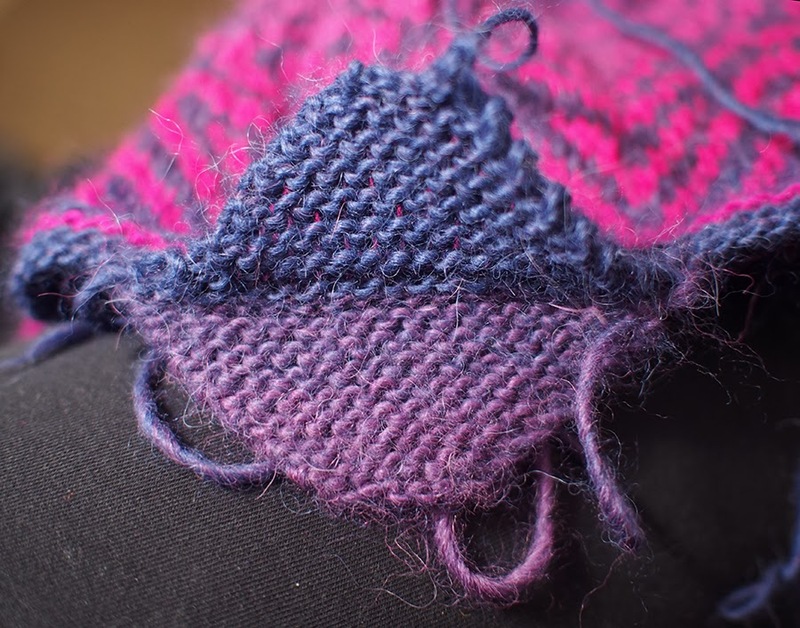 SUGGESTION: When doing those 2 rows, knit into the row below of the 2nd row to try and fool the jog. 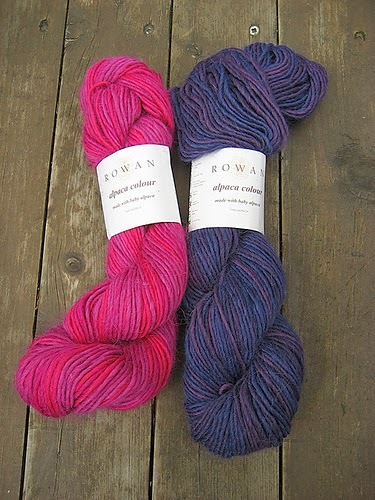 Like before, I can't recommend Alpaca Colour enough as a soft, delicate and luxurious yarn. Using it doubled from stranding really strengthened it. 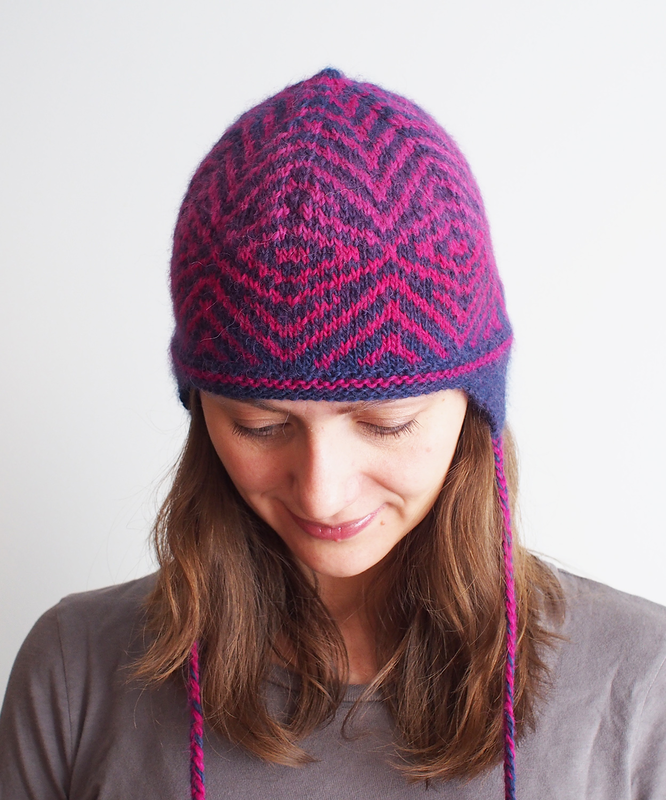 After seeing the color changes in this hat, I'm thinking a fair-isle sweater might really be worth it! You are such a perfectionist! Ear flaps do make a big difference. 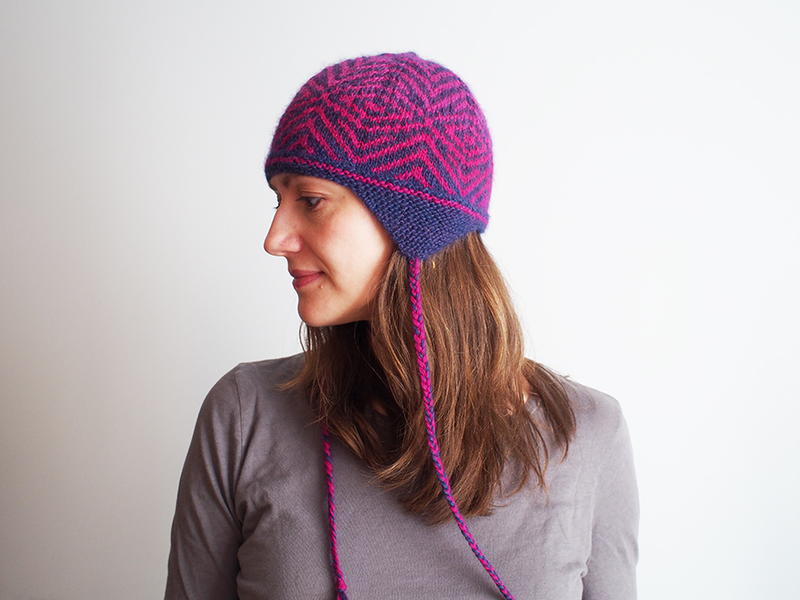 I knitted a beret with ear flaps for my daughter a couple of years ago and it was really warm. She actually wore it out in public which is the best compliment. I AM a perfectionist, sigh. :). 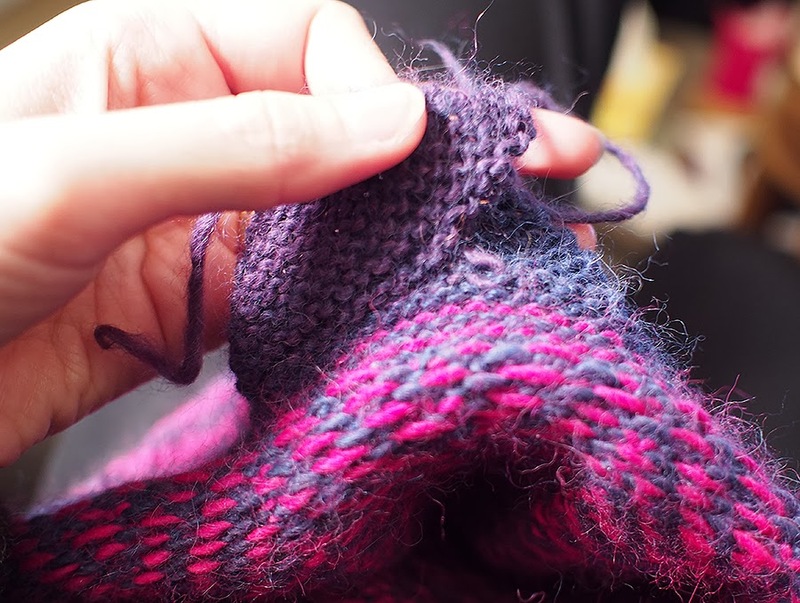 I've been thinking about it and I don't think there is one knit I've finished without thinking there was *something* to fix. I'm so glad your daughter wears your ear flap beret! If you have a picture I'd love to see. Lovely hat! Have you considered using a baloon for blocking? You can usually choose how much you inflate it to make is smaller than your head, and thus ensure it does not stretch too much. 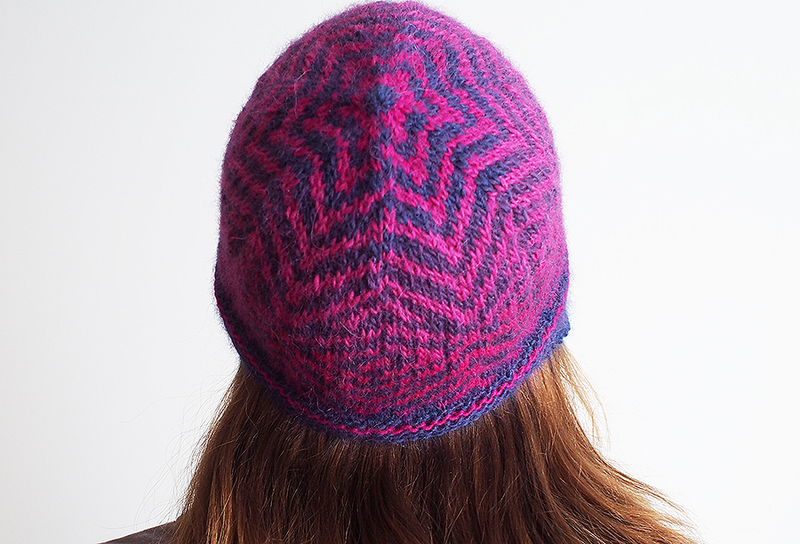 Can you recommend some good patterns for pointy hats? I'm afraid I don't knit in the round so they will have to be flat or adaptable to flat. Love what you've done, though. This is such a fun, informative and interesting post! Ah, yes the affliction of cold ears in winter. I, too, have very sensitive ears which cannot bear the cold and my full-on snood is not always an appropriate form of headgear. 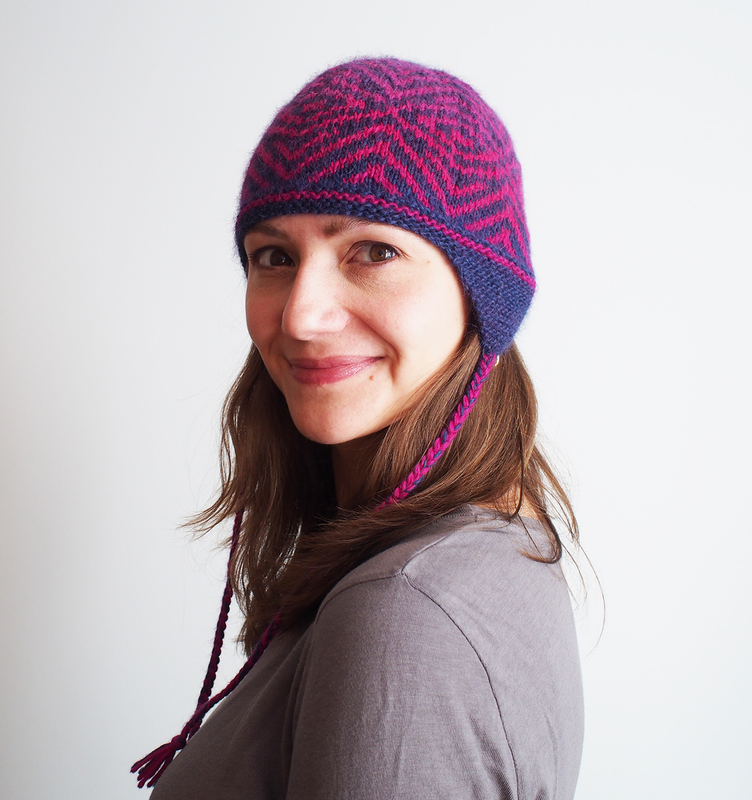 As an alternative, I adore the look of this hat, as you say this is one of the few modern-looking ear flap hats out there, and your color scheme adds even more sophistication to it. 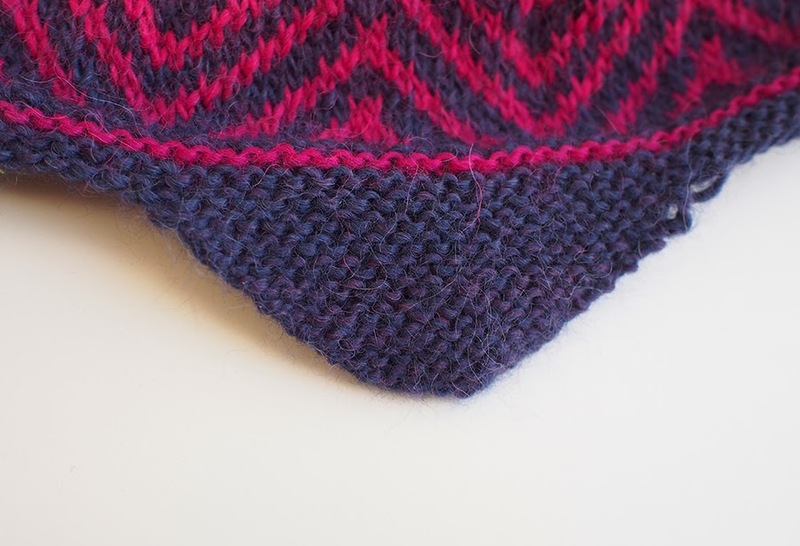 Nice details about how you made sure the earflaps matched, I can only imagine how irked you must have been at the yarn when the two came out so different! 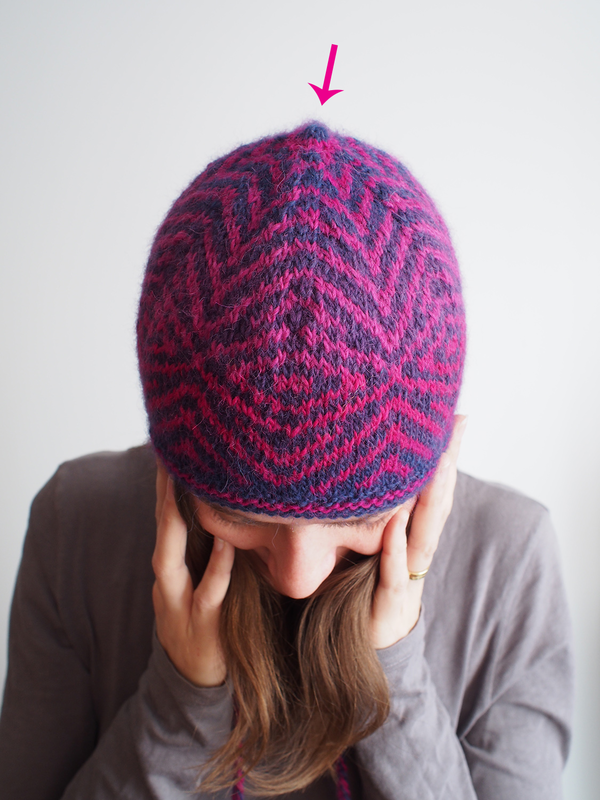 I am saving this pattern into my queue immediately!